University of Ghana 69th Annual New School and Conference – Our director spoke at the conference with over 200 participants in attendance. She spoke on the topic ‘Job creation for accelerated national development, the role of the private sector’. She emphasized that job creation cannot happen in a vacuum, especially when it comes to technology job creation. People need the right skills and education to be able to be gainfully employed in the ICT sector. We need citizens to also patronize technologies developed locally. Irrespective of the sector you work in, technology can enhance the productivity of that organization. She mentioned “farmerline.co” as one of the startups that sprang up from Mobile Web Ghana training programs and the fact that they have created jobs for many Ghanaians in the country. The Cyber Security workshop was organized to empower participants with tools that will keep them safe online. The event was held at Mobile Web Ghana with 21 people attending. With more and more people/businesses using technology and the internet in their daily activities, it is very critical for everyone to understand the risks and vulnerabilities associated with every online activity. Al-Sunar a team of cybersecurity experts organized this event with the aim of updating participants on the state of cybersecurity and how one can stay safe. The event was characterized by live demonstrations where participants were shown practical scenarios of cyber attacks. This particular Bitcoin Masterclass is the second one held at Mobile Web Ghana by Wryze Blockchain Solutions Ltd. The event was put together to help participants understand the basics of blockchain, bitcoin and how to start a business in blockchain. A myriad of speakers took turns to speak on various topics all related to cryptocurrencies and blockchain. Participants who had questions about bitcoin, the major cryptocurrencies, decentralized applications etc. had their questions answered to their satisfaction. On February 15th, 2018, a Twitter chat, organized by the University of Mines and Technology Engineering department, was held on the topic “The future of technology in Africa, The role of female Techies”. Females have a huge role to play in the field of technology. Women can design and create solutions that best solve problems for women. Technology is not all about coding, it involves more than that. Females should endeavor to create technology solutions to solve local problems. We need more women to create and innovate and not just be consumers of content. On the 24th February, Mobile Web Ghana participated in empowerment workshop organized by faculty of engineering ladies at the University of Mines and Technology in Tarkwa. The theme for the workshop was: women, Innovation & the digital age. Discussions were centered around low female representation in student politics, the technology industry, and leadership positions. Female students were challenged to arise and take up leadership positions, teaming up with other colleagues to solve local problems in society using technology. They should also stay focused on their studies as well as engage in other extracurricular activities. They were encouraged to take calculated risks and not be passive participants in activities happening in their communities. It’s always impossible until someone makes the way. Visuals for Gender organized a 2-day hackathon and stakeholder engagement under the theme Hacking for Gender: Combating gender-based violence with the power of technology. The event was held at Mobile Web Ghana on 2nd and 3rd March 2018. The training session/hackathon held on the first day was specially designed to build the capacity of journalists, CSOs who work on sexual reproductive health issues, statisticians, and gender activists. The participants were taken through the process of developing simple data visualizations with the Tableau Public software. Afterward, they formed groups and started working on different projects based on the datasets we provided from DOVVSU. The following day of the hackathon was a stakeholder engagement and presentation of results by the various groups. The resource persons: Esther Amarh, founder of EAA productions and Pious Asante, a gender activist who works for the Food and Agricultural Organization (FAO) had an interactive session with all present. The stakeholders’ dialogue also gave the keynote speakers the opportunity to share their experience and knowledge on the topic of gender and social engagement with all who attended the event. The goal was to have a dialogue on some of the actions that need to be taken and the role of good and flexible policies in promoting a better society for all. Presentation of results by the various groups was next. 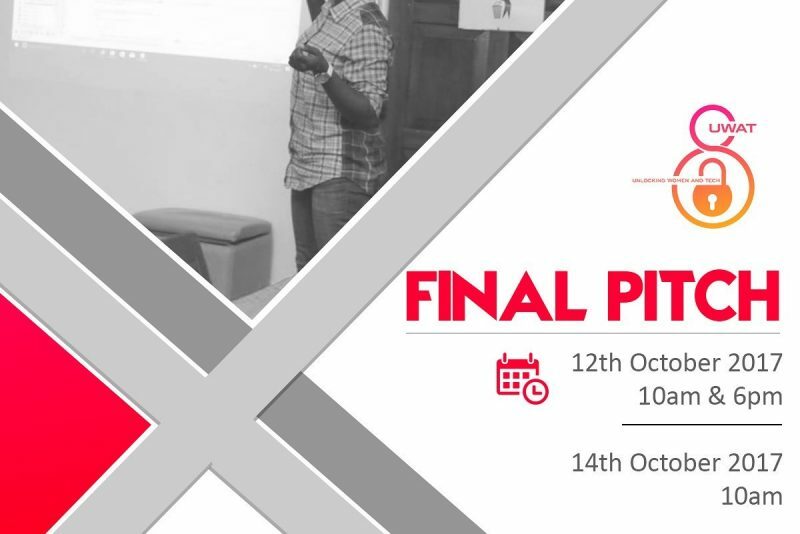 The various groups pitched their ideas on how they will use GH 3,000.00 to tackle the issues of gender-based violence in a period of two months. At the end of the day, ‘the Winning team’ emerged as winners with a project on attempted defilement.